Recent progress of CMOS image sensor (CIS) technology is creating opportunities for the development of imaging devices with functional pixels for very-high time-resolved imaging. Time-resolved CMOS image sensors with lock-in pixels have a wide range of applications in real-time time-of-flight (TOF) range imaging for automobile, particularly for autonomous driving, eyes of robots, surveillance/security and human interface. If the lock-in pixel is designed for low-noise signal readout, the time-resolved CISs also have a variety of applications in medical and biological imaging. In this talk, recent progress of time-resolved CMOS image sensors with high-speed photo-charge modulation pixels using lateral electric field modulation (LEFM) techniques is reviewed and their future prospects particularly for potential applications in autonomous vehicles and next-generation biomedical tools are discussed. Shoji Kawahito received the Ph.D. degree from Tohoku University, Sendai, Japan, in 1988. 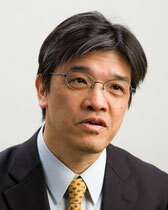 In 1988, he joined Tohoku University as a Research Associate. From 1989 to 1999, he was with Toyohashi University of Technology. From 1996 to 1997, he was a Visiting Professor at ETH, Zurich. Since 1999, he has been a Professor with the Research Institute of Electronics, Shizuoka University. Since 2006, he has been the CTO of Brookman Technology Inc., a university spin-off company for CMOS imager developments. His research interests are in CMOS imaging devices, sensor interface circuits and mixed analog/digital circuits designs. He has published more than 400 papers in peer-reviewed journals and international conference proceedings. Dr. Kawahito has recently received several awards for his contribution to CMOS imaging devices including the Outstanding Paper Award at the 1987 IEEE International Symposium on Multiple-Valued Logic, the Beatrice Winner Award for Editorial Excellence at the 2005 IEEE International Solid-State Circuits Conference, IEEE Fellow Award in 2009, the IEICE Electronics Society Award in 2010, the Takayanagi Memorial Award in 2010, the Walter Kosonocky Award in 2013, and Image Sensors Europe Awards in 2017.